$20 off the preparation of your resume! Call now at 866-726-9052 to schedule your consultation or click on the "order now" link for secure online payment processing. Hurry - offer ends 11/30/2014! Ms. Sweeney has an inside track to both corporate operators and airlines, along with resources that can help you to be successful. 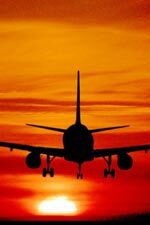 Whether you are just starting out in the airline / aviation industry or looking to advance your career, Ms. Sweeney will provide insight and guidance into the appropriate path for your specific situation. Here is what our satisfied aviation clients have to say..